How lucky are we to attend a Major League baseball game?! 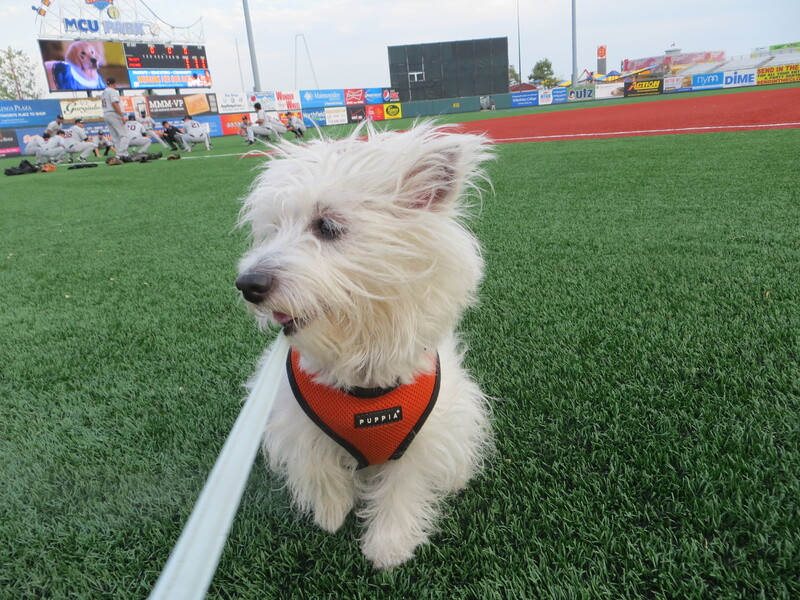 The Mets organization teams with animal charities to host dog-friendly Bark in the Park events two times each season. 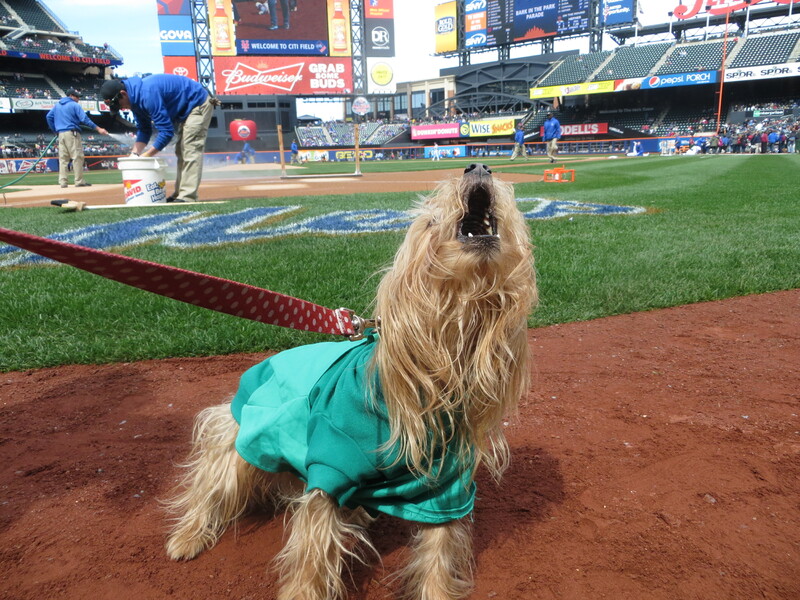 The spring game took place this weekend at Citi Field and benefitted North Shore Animal League America. Hundreds of doggies took part in a field-level doggy parade and then watched the game from the Pepsi Porch. The first 500 pups received cute Mets-themed bandanas. We yipped and yapped at all of the dogs and were truly astonished at the different breeds represented. 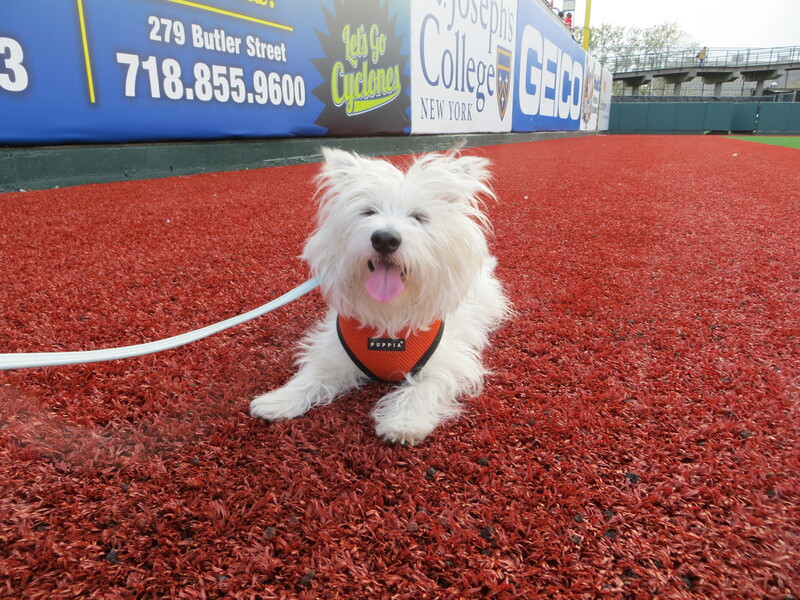 It was a “meet the breeds” at the ballpark– from Dobermans to Saint Bernards to Yorkies, Westies, Huskies, and everything in between! The next dog-friendly game will be held on Saturday, September 14. Purchase your tickets as soon as they become available because this sells out every year. AND, many other Major League teams host events throughout the season! If you are traveling this summer, check the local team to see what they have planned. Play ball! !